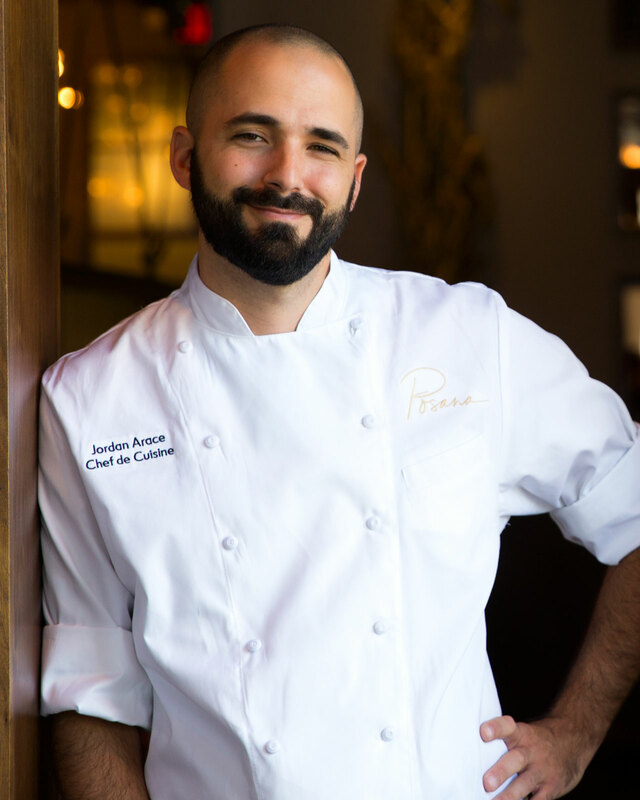 Posana's Jordan Arace will serve as executive chef at District 42 and Bargello, which open on Hotel Arras' first floor in spring 2019. The construction of Hotel Arras, the forthcoming luxury hotel and condo property at 7 Patton Ave, has been a fixture of downtown Asheville for years, and come this spring, the 19-story building will finally re-open to the public – along with two brand-new restaurant concepts from some of the city's most successful restaurateurs. 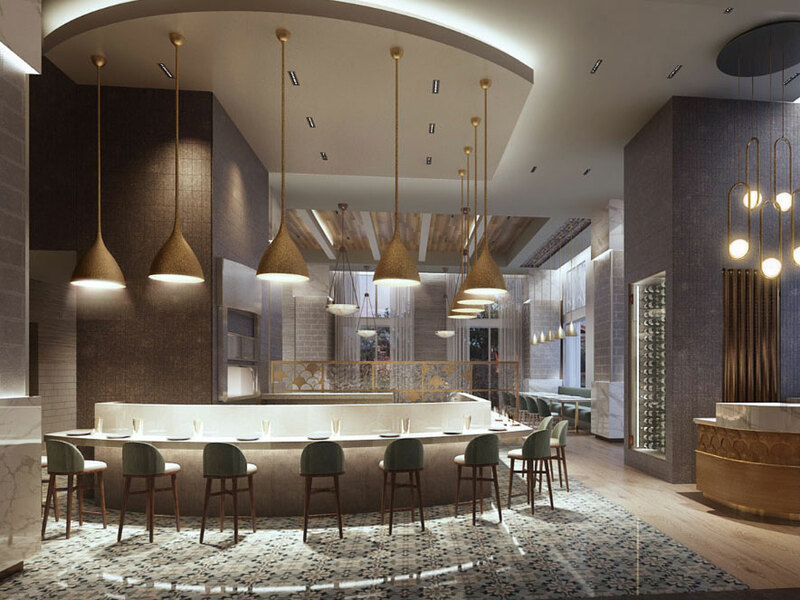 Mandara Hospitality Group's Martha and Peter Pollay, the duo behind Posana just a block away, will open District 42 and Bargello on the hotel's airy, modern first floor with ample lounge seating. Posana's Jordan Arace will helm both kitchens, serving Mediterranean-inspired small plates, handmade pastas, oven-fired pizzas, and craft cocktails in both the restaurant and bar area. "They're designed to be siblings with two different personalities; not twins," Martha tells Food & Wine. The Mediterranean-inflected Bargello will serve breakfast and dinner, with two open kitchens and a pizza oven wrapped with counter seating. The menu features housemade pastas and large format-meats meant to be shared, like roasted rack of lamb and heritage pork shoulder. Across the large lobby will be District 42, a slightly more casual all-day eatery and lounge with outdoor seating. "Since we also own Posana, which is gluten-free, we plan on offering as many gluten-free pastas as possible, which we'll have made there and prepared here," says Peter. "We also plan on having a lot of shareables." Martha adds, "We want everyone to be able to share little bites and try different things and just have a good time out. We really want to make the restaurants as much of a destination you would want to visit traveling here as the hotel." Despite the 54 condo units and 128 hotel rooms in the building, the Pollays envision both District 42 and Bargello as neighborhood haunts that don't necessitate an overnight stay on the property. Yet the concepts will feel very much part of Hotel Arras, as there are no barriers separating them from the lobby. "We wanted to really include the hotel guests all the time, so we actually have no walls," says Peter. "It's completely open all the time. And on the bar side, there will be a lot of lounge seating so hotel guests can use it all day long." District 42 has the benefit of a large outdoor seating space, which the Pollays hope will become a popular spot for breakfast meetings, catch-ups, and afternoon aperitivo. Hotel Arras, District 42, and Bargello are slated to open in spring of 2019.